Tracking the Constituencies of South India: Part 1 - Telangana. Will it be a TRS sweep or can BJP make a dent? South India goes to polls during the first 3 phases of the General Elections 2019. Telangana and Andhra Pradesh will be voting on Apr 11, the first day of polling. This article is the first of a 5-part series which tracks important candidates and constituencies in the state of Telangana which are worth looking out for. The remaining parts will focus on the other states in the region. Part 2 on Andhra Pradesh can be read here, Part 3 on Tamil Nadu can be read here and Part 4 on Karnataka can read here. Telangana is voting on the back of recently concluded assembly elections in which Telangana Rashtra Samithi (TRS) romped home with a stunning two-thirds majority. In fact Telangana was supposed to go for simultaneous polls for both assembly and parliament, but the incumbent Chief Minister riding on a wave of popularity decided to call for early elections and won handsomely against a spirited and united opposition. The ‘Maha Kootami’ alliance as it was called had 4 parties – Telugu Desam Party (TDP), Congress, Community Party of India (CPI) and Telangana Jana Samithi (TJS). The opposition alliance managed to win just 21 (Congress 19 and TDP 2) out of 119 seats while TRS won a whopping 88 seats. It is in this backdrop that the political parties are now facing the Lok Sabha elections. The opposition alliance has now withered away and the parties have now decided to fight it out individually. Such is the state of the Congress Legislature party that 10 out of 19 MLAs have already quit the party and joined TRS (within 3 months of winning). Telugu Desam has decided not to contest from Telangana this time around. TRS is extremely confident of a stupendous show and barring Hyderabad seat (more on it later), it is looking to win the rest of the 16 seats (total of 17). BJP which too was brushed away in the assembly elections will hope that it will improve its tally this time around. Telangana goes to polls on 11 April. TRS chief and Telangana Chief Minister K Chandrasekhar Rao’s daughter Kalvikuntla Kavitha is hoping to repeat her stupendous 2014 victory where she had won by a margin of more than 1.6 lakh votes against Congress candidate Madhu Yakshi Goud. This time too, Kavitha is pitted against Goud. TRS had won all 7 assembly seats in December. A handsome victory margin will send out the right signal for her father’s national ambitions in case of a hung parliament. Malkajgiri is known as the largest constituency in terms of number of voters at over 31 lakhs. TRS is in the pole position here too having won 6 out of 7 assembly constituencies in December (the remaining seat was won by Congress). 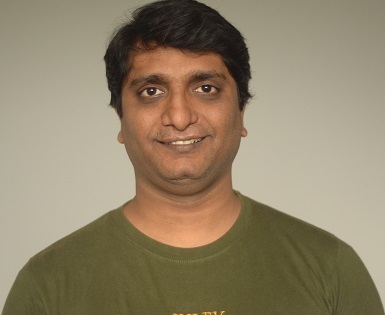 In 2014, Malla Reddy had won on a TDP ticket but had later joined TRS. This time around his son-in-law Marri Rajasekhar Reddy is being fielded by the party and should be heading for a comfortable victory. Secunderabad has been a fertile ground for BJP in an otherwise barren state. The tallest leader of BJP from Telangana Bandaru Dattatreya has held this seat 4 times (1991, 1998, 1999 and 2014). He has been a Union minister under both Atal Bihari Vajpayee and Narendra Modi. Such is the hold of BJP over this seat that it had won in 2014 with a 2.5 lakhs margin. BJP has this time fielded G Kishan Reddy (state head of BJP) who was defeated in Amberpet in the assembly polls and will hope to retain the seat. 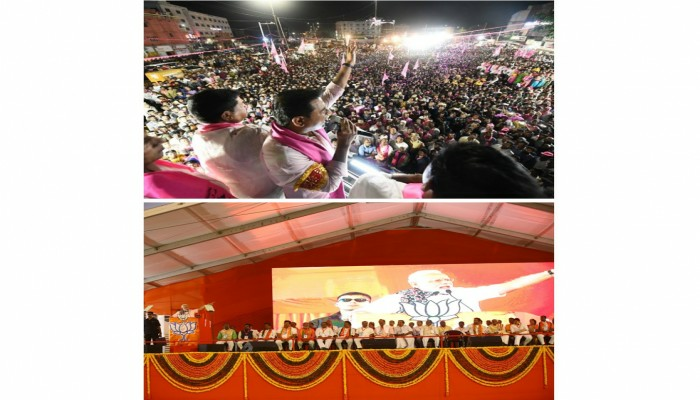 In the current assembly though, TRS holds 6 out of 7 assembly constituencies and has fielded Talasani Sai Kiran Yadav, son of Animal Husbandry Minister Talasani Srinivas Yadav and is campaigning hard to wrest this seat from BJP. Anjan Kumar Yadav of the Congress is trying his luck again this time after having lost against Dattatreya in 2014. He has held this seat twice earlier in 2004 and 2009. As a result of 3 strong candidates, Secunderabad might see a tight triangular contest this time around. Asaduddin Owaisi of the All India Majlis-e-Ittehadul Muslimeen has been the sitting MP of Hyderabad for 3 consecutive terms starting from 2004 prior to which his father Salahuddin Owaisi remained undefeated since 1984. This is an AIMIM stronghold and any other result this time around is mere wishful thinking. In December, AIMIM won 6 out of 7 assembly constituencies. The only other seat of Goshamahal was won by BJP’s firebrand leader T Raja Singh who has been the political bete-noire of the Owaisi brothers. Interesting TRS had initially indicated that it won’t field a candidate against Owaisi but later decided to field an entrepreneur Puste Srikanth in a friendly fight. Mahabubnagar is one of the Lok Sabha constituencies in South Telangana. Former Union Minister Jaipal Reddy has represented this seat twice earlier. DK Aruna, is a fire-brand leader and has been a three-time MLA from Gadwal. She has been a minister both under YS Rajasekhar Reddy and Kiran Kumar Reddy. She recently joined BJP after being humbled by her nephew in the assembly elections in the same Gadwal constituency. Seeing no future for herself in the Congress party anymore in Telangana, she has switched over to the BJP now. Watch out for Aruna becoming a cabinet minister at the Center (irrespective of her winning) if NDA forms a government again. Prime Minister Narendra Modi too addressed a rally in Mahabubnagar in the first week of April. Congress has fielded Kalwakurthy ex-MLA Vamsichand Reddy from Mahabubnagar. It was this that triggered the decision from DK Aruna to switch to BJP. TRS has replaced its sitting MP and is now fielding Manne Srinivas Reddy who isn’t that well known but the party had won all 7 assembly constituencies in December and that gives it the confidence. Congress has decided to field its state President Uttam Kumar Reddy from Nalgonda. Reddy is the current MLA from Huzurabad assembly constituency. It is to be mentioned that if the joint opposition won in the assembly elections, Uttam Kumar Reddy would have become the Chief Minister in all probability. Fielding Reddy now shows the desperation of Congress party which is facing a dearth of candidates who can challenge the ruling party. So important is Reddy winning for the party now that Rahul Gandhi campaigned for him on April 1. Also, if Reddy wins now, he will have to vacate Huzurabad constituency, which he had won with a slender margin of 7000 votes. Retaining Huzurabad against a strong TRS will be next to impossible for the Congress party. Reddy, who has been a 5-time MLA, will be facing Vemireddy Narasimha Reddy of TRS (a relatively new face). Sitting MP from Congress Gutha Sukender Reddy has held this constituency three times (1999 from TDP, 2009 and 2014 from Cong). He too joined TRS and is now working to defeat Uttam Reddy. Despite this dissimilarity in candidates, this might turn out to be a David vs Goliath contest to watch out for. Not too long ago Telugu Desam Party was the primary party in Khammam. TDP had always been strong here prior to the split of the state. Even after split, owing to Khammam being a border district, TDP retained its hold on the district for a couple of years until desertions started to cost the party dearly. This is the only Lok Sabha seat in which TRS performed badly during the assembly elections. Out of 7 assembly seats, TRS won only 1 seat (Khammam assembly seat) while Congress won 4, Telugu Desam won 2 (TDP couldn’t win any other seat outside Khammam) and an Independent won the remaining seat. Hence, for the TRS this is a prestige battle on its hands now. TRS has now fielded ex-MP Nama Nageswara Rao who quit TDP just 1 day before being announced as the candidate. Rao had won this seat in 2009. He is one of the richest politicians in the state at approximately 113 crores and is the founder of Madhucon Group of Companies. Rao is pitted against Renuka Chowdhury, Rajya Sabha member from Congress who has won this seat twice before in 1999 and 2004. She has been a Union Minister under United Front’s Deve Gowda government (she was in TDP then) and under UPA1’s Manmohan Singh government. Often found to be making outlandish and out-of-turn statements, her party Congress has had to disassociate itself from her viewpoints and opinions on multiple occasions. In 2014, YSR Congress Party’s Ponguleti Srinivas Reddy had won this seat but had joined TRS thereafter. It was expected that Reddy would be fielded again (despite being unable to win assembly seats) but when Rao’s name was announced, there was an internal rebellion in the party. However the rebellion seems to have been handled efficiently and TRS is hopeful that it can win this seat for the first time.